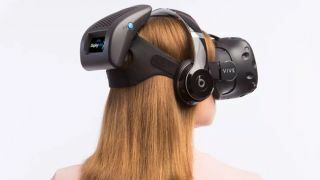 Intel has officially killed its WiGig line of products in favor of dedicating the wireless connectivity technology to virtual reality (VR) headsets, Anandtech reports. This means that Intel will soon no longer sell 802.11d radio cards, antennae and sinks, with End of Life (EOL) programs in place for each. Shipments of these parts will stop before the end of 2017, December 29 to be exact. Such a short EOL plan indicates that the products weren’t very popular to begin with. Regardless, Intel intends to support the WiGig products it has already shipped for the foreseeable future. For those out of the loop, WiGig is Intel’s fancy name for the short-range 802.11d connectivity standard, which operates over the 60GHz frequency. The technology allows for wireless docking and connectivity of devices with speeds that come close to that of USB 3.1 Type-C and Thunderbolt 3 hard line connections. However, being a short-range signal, WiGig requires connected devices to be awfully close and unimpeded by physical objects, like walls or floors. When you can get faster and more reliable connectivity from a hard-line Thunderbolt 3 connection, the point becomes rather moot. That said, Intel apparently sees great value in applying 802.11d or WiGig technology in wireless connectivity modules for VR headsets. Given how VR on PCs and game consoles, like the PS4, works, it’s easy to see why the firm is so bullish on this application of the tech. In fact, Intel has already struck up a partnership with HTC to craft such a device for its headsets that should eliminate the need for wires to deliver the visuals and other data from the PC in question to, say, the HTC Vive headset. The end result, in theory, would be greater freedom (within a certain range) for the VR user and no more worry of tripping over wires. All in all, Intel is still being mum on the specifics regarding how it will implement WiGig technology into partners’ VR headsets, specifically whether it’s using off-the-shelf technology or more finely-developed applications of the technology that will come through via brand new products. Considering that Intel is a company that makes money off of selling things to the public and manufacturing partners, we’re willing to bet on the latter being the case. This news also doesn’t account for Facebook’s own wireless VR headset in the works, the Santa Cruz prototype, which seems to use entirely proprietary technology to the same end. If you thought 2016 was the year of VR, just you wait for 2018.